I think no one knows how to send app to sd card. If there i&#351; any option plese tell all will bent fit..
Is someone knows if x8 has a night module for camera? TonisPaul, 08 Aug 2011How can I connect Internet to my laptop by using xperia x8 sony ericsson mobile phone? Please... moreu cant use it as a modem for ur lappy. is skype and other video calling applications working here? ruwan, 09 Aug 2011can i downloard skype this phoneNo, if you think you can use Skype with X8 to it's fullest potential. Skype's Android app has only allowed video calling for SE Xperia Neo, Pro, PLAY, mini pro and Ray. lynn, 06 Aug 2011how to use android... my phone cannot connect wifi.. how to connet it?? ?you must have wireless internet. if you don't, he doesn't find anything. Ricky, 07 Aug 2011i want to buy this phone but dont know whether it supports pdf files. help plzyes he supports pdf files. check above. I have this kind of (smartphone?!) but the problem is the keypad, its very difficult for texting coz the space is very small. 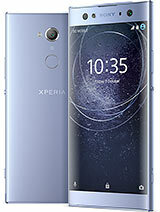 How can I connect Internet to my laptop by using xperia x8 sony ericsson mobile phone? Please give me suggestions. Total of 6031 user reviews and opinions for Sony Ericsson Xperia X8.